Join our Honorary Event Chairs, Tony Scully and Joy Claussen Scully, for an evening of merriment with a backcountry Colonial flair! Enjoy décor, craft cocktails and artisanal heavy hors d’oeuvres inspired by the 18th century. Amusements will include live music by The Items, dancing, a curated silent auction, games, and more! Guests will be greeted in period-style inside the Historic Kershaw-Cornwallis House with a sip of a signature Colonial-inspired cocktail, small bites and an exhibition by the English Country Dancers. 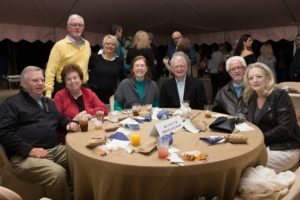 In the enchanting garden behind the house, tents under the stars will feature modern cover band, The Items, a full open bar, heavy hors d’oeuvres buffet, a curated silent auction, games, and more. The hearty buffet will include a delightful modern take on Colonial-era fare. Guests are encouraged to wear relaxed attire to the event and dress for the weather as most of the festivities will be outdoors. Proceeds support Historic Camden’s mission of protecting, preserving and celebrating Camden’s extraordinary Colonial and Revolutionary War history. 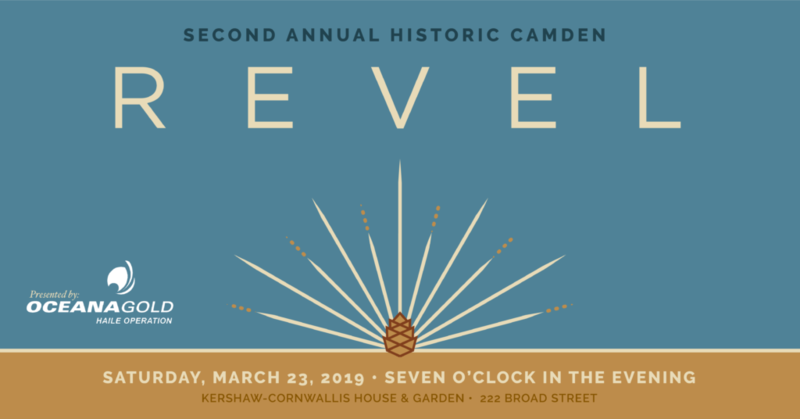 Visit www.historiccamden.org/revel for more information and to purchase tickets and tables.